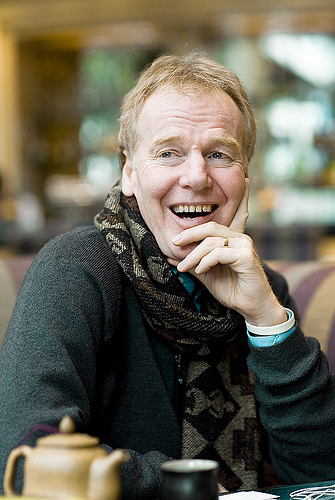 Peter Senge is a senior lecturer in Leadership and Sustainability at the MIT Sloan School of Management. 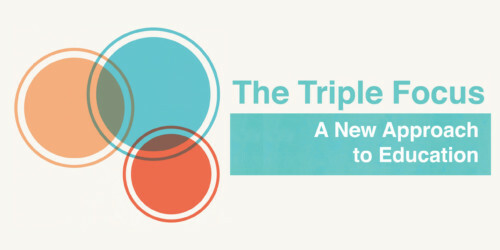 He studies decentralizing the role of leadership in organizations so as to enhance the ability of employees to work productively toward common goals, and the managerial and institutional changes needed to build more sustainable enterprises””those businesses that foster social and natural as well as economic well-being. Senge’s work articulates a cornerstone position of human values in the workplace: namely, that vision, purpose, reflectiveness, and systems thinking are essential if organizations are to realize their potential. He has worked with leaders in business, education, civil society, healthcare, and government. Senge has lectured extensively throughout the world, translating the abstract ideas of systems theory into tools for better understanding of economic and organizational change. The Journal of Business Strategy (September/October 1999) named Senge one of the 24 people who has had the greatest influence on business strategy over the last 100 years. The Financial Times (2000) named him one of the world’s top management gurus, and BusinessWeek (October 2001) rated Senge one of the top 10 management gurus. His book, The Fifth Discipline, was a massive success in business and education communities for introducing the theory of learning organizations, and sold over one million copies worldwide. 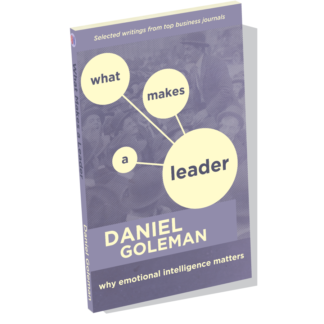 Harvard Business Review named it as one of the seminal management books of the past 75 years. Senge is the founding chair of the Society for Organizational Learning (SoL), a global community of corporations, researchers, and consultants dedicated to the “interdependent development of people and their institutions.” He earned his Bachelors in Engineering from Stanford University, and his Scientae Magister in Social Systems and Doctorate in Management from MIT. At More Than Sound, Senge is a conversationalist in The Executive Edge: An Insider’s Guide to Outstanding Leadership, a long book containing Daniel Goleman’s in-depth conversations with respected leaders in executive management, organizational research, workplace psychology, negotiation, and senior hiring. 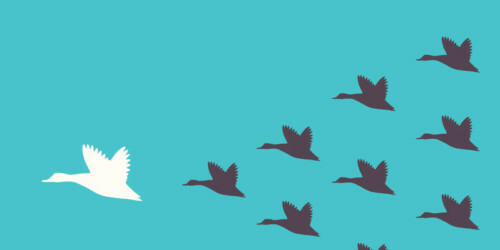 The Executive Edge examines the best practices of top-performing executives. 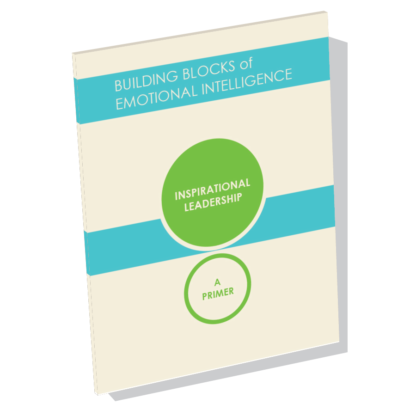 It offers practical guidance for developing the distinguishing competencies that make a leader outstanding. Another conversation between Senge and Goleman is available in Leading the Necessary Revolution: Building Alignment in Your Business for Sustainability. Sustainability is the biggest business opportunity in 50 years – it’s starting now, and the landscape will never be the same. Some managers clearly see their chance to be ahead of this curve. The single biggest challenge facing them now is creating alignment – explaining their vision in a compelling, motivational way – to get from the conceptual stage to critical action. Senge’s been helping organizations learn for decades – and he’s found that no matter where you are in your firm, you can drive the shift to sustainability – if you have the right approach, tools, and vision. 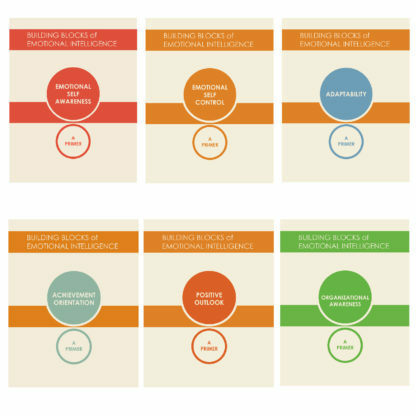 Leading the Necessary Revolution helps you get key decision-makers on board to take the next steps, avoid common errors of sustainability advocates, find and bridge gaps in mental models, and build hybrid synthesis with NGOs, governments, and other businesses. Leading the Necessary Revolution is also available in an exclusive offer that combines Senge’s conversation with The Radical Horizon: A Primer on Business Sustainability with Dana O’Rourke and Gregory Norris for only $24.99. 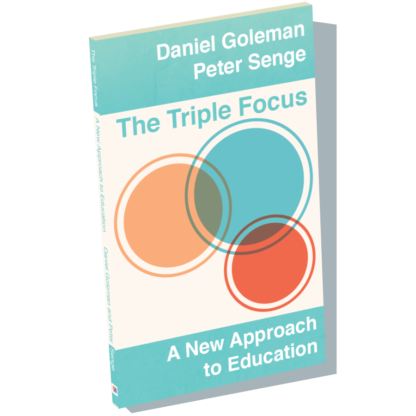 In The Triple Focus: A New Approach to Education, Goleman and Senge provide educators with a rationale for incorporating three core skill sets in the classroom””understanding self, other, and the larger systems within which we operate””and show why these competencies are needed to help students navigate a fast-paced world of increasing distraction and growing interconnectedness. 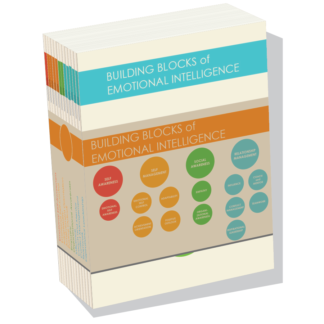 The book also offers examples of model educational programs that include these competencies in their curriculum, and shares best practices for introducing them in schools. 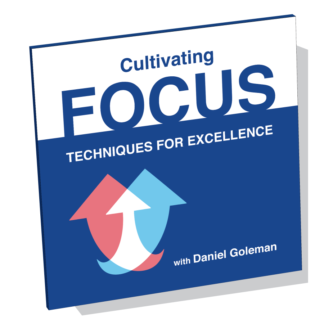 The Focus Back-to-School Bundle includes The Triple Focus, Cultivating Focus: Techniques for Excellence, Focus for Kids: Enhancing Concentration, Caring, and Calm, and Focus for Teens: Enhancing Concentration, Caring and Calm. You may also be interested in the Focus Poster for teens. The video collection of Daniel Goleman”˜s Leadership: A Master Class (DVD, Streaming Video, Training Guide) contains a bonus interview with Senge. Key Step Media / 1 min.